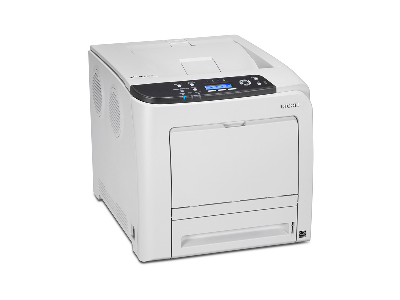 You will hardly notice the Ricoh SP C320dn colour printer. Day in, day out, it will quietly, reliably and efficiently produce high-quality colour or black and white laser prints at 25 pages per minute. Its small footprint means it fits - almost unseen - on the smallest desktop or shelf. However, what is definitely noticeable is its best of class Total Cost of Ownership and low environmental impact. Standard duplexing saves time and paper, while its ECO Night Sensor switches the main power off when darkness falls.